Throw me in the middle of New York, Toronto, Paris, Chicago and I tend to thrive. But Athens, please don't bring me to Athens in July. 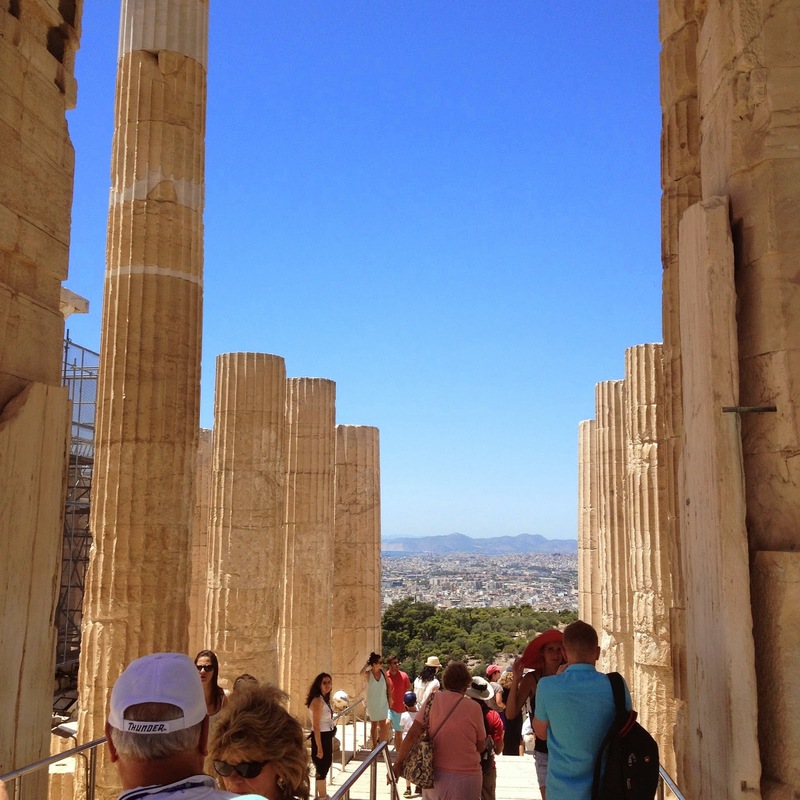 There was something about Athens that just didn't jive with me. 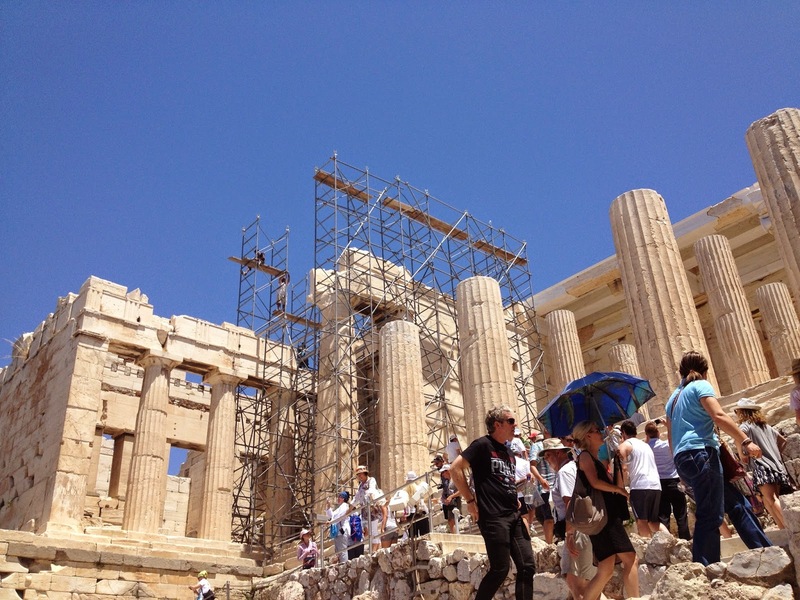 Maybe it was the 45 degree weather, the lack of shade, anywhere, or the fact that I decided to visit the Acropolis of Athens on one of the hottest days I've ever experienced. I nearly melted after climbing up alone (Maria chose to stay behind as she's visited before). I wasn't used to the influx of tourists, a crowd that was denser than the heat that followed me around like a Charlie Brown cloud. But I kept going. 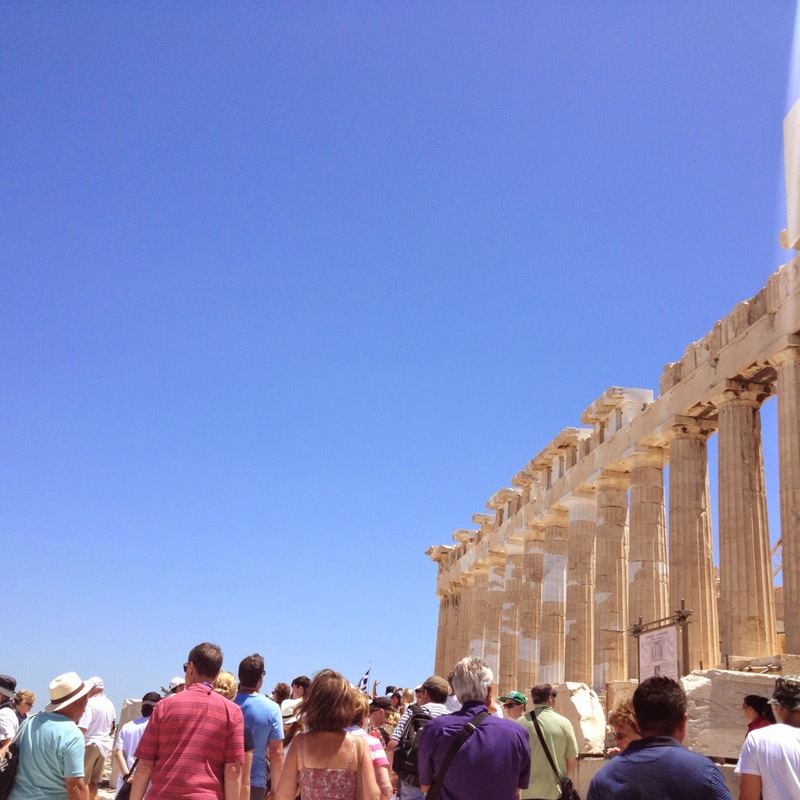 I didn't come all the way to Athens not to see one of the most historical monuments of Greek history. On my way down, I got really lost. I couldn't find Maria. I somehow ended up on the other side of where I entered. I bought a litre of water, and downed it in five gulps. I started to panic. When I finally found Maria, she was relaxing under a tree, texting. I begged her for shade and food, in that order. 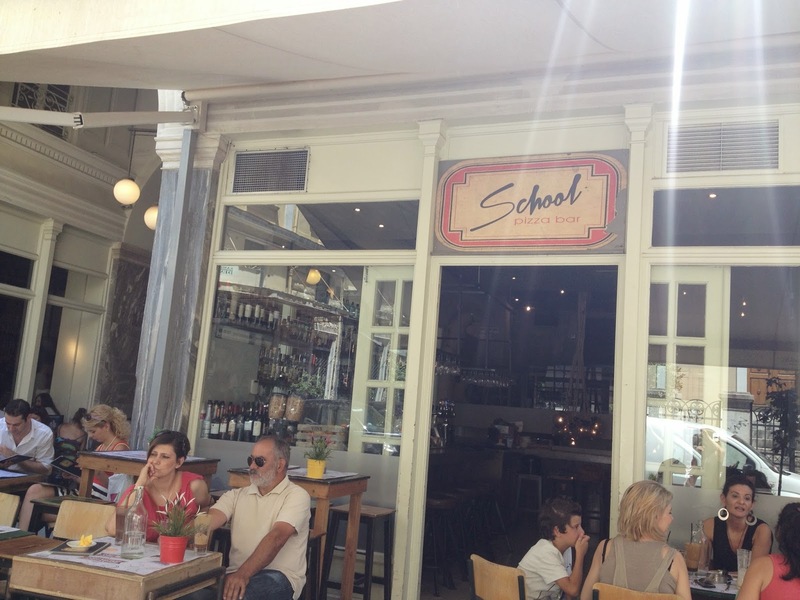 We found a cute Italian restaurant called School, hidden amongst the crowded streets. 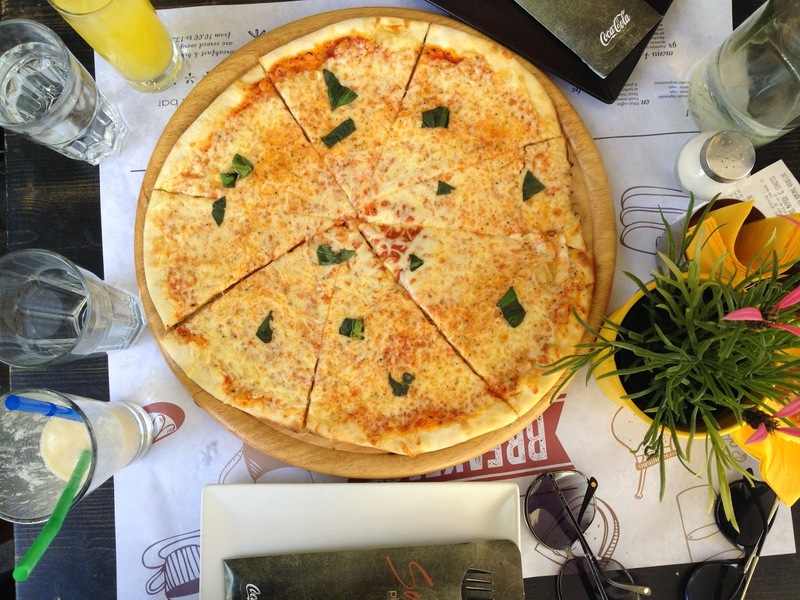 We ordered the largest margherita pizza I've ever seen, and I ate enough slices to almost revive me back to a chipper state. 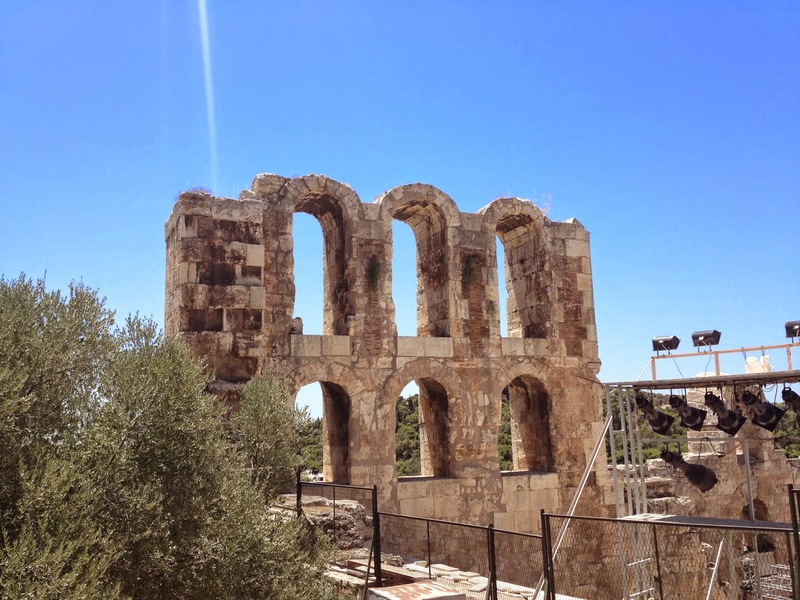 Below are some photos I took while in Athens! Enjoy. The lack of cloud coverage made for great photos!